Bishop Brian Dunn says this relic is significant. 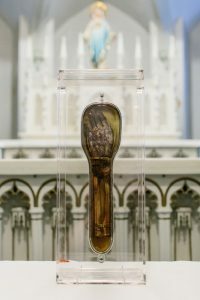 It is estimated St. Francis baptized more than 100-thousand people with this arm. His arm, as well as the rest of his body, is incorrupt. Saints are referred to as incorrupt when their body, miraculously, does not experience natural decay.